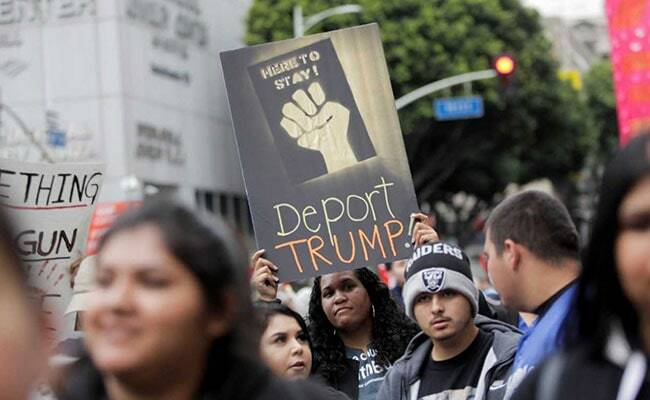 LOS ANGELES: Organized labor activists led May Day rallies in several U.S. cities on Tuesday, though in smaller numbers than last year, decrying President Donald Trump's immigration crackdown as an assault on vulnerable workers in some of America's lowest-paying jobs. The marches in the United States capped a day of protests elsewhere in the world. In Paris, hundreds of masked and hooded anarchists smashed shop windows, torched cars and hurled cobblestones at riot police on Tuesday, hijacking a May Day rally by labor unions against President Emmanuel Macron's economic reforms.